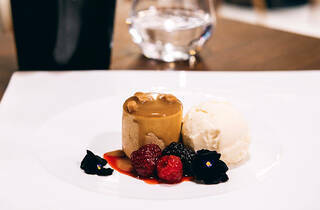 Part of an international chain, with branches in Bangkok, Geneva and Singapore among other cities, this plush Soho restaurant – the newest of four London outlets – has an air of confident sophistication. The dining room is low-lit, the staff polite and in the centre of the space sits a carved wooden spirit house. From the ample menu, a fusion dish of wafer-like ‘Thai taco’ shells served with a light filling of minced prawns and pork worked well. A main of slow-cooked osso buco in massaman curry sauce with lotus seeds also blended eastern and western techniques, though the accompanying pitta bread seemed a step too far. Of the more classically rendered dishes (and there are plenty), a pad thai was a sedate affair, while the chargrilled sea bass in a red curry sauce was punchier. Like the food, the diners are a refined bunch: by day, many a business lunch is devoured here; the evenings are more about special occasions. 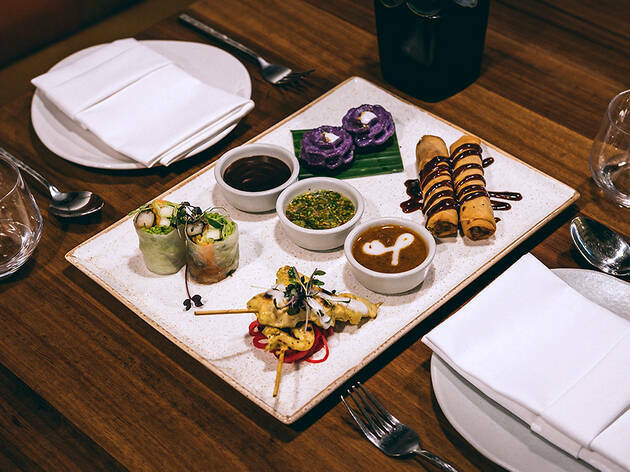 If you’re in search of a well-executed contemporary meal in Soho with spice-levels that won’t offend, Patara will deliver – but don’t expect a cheap eat. 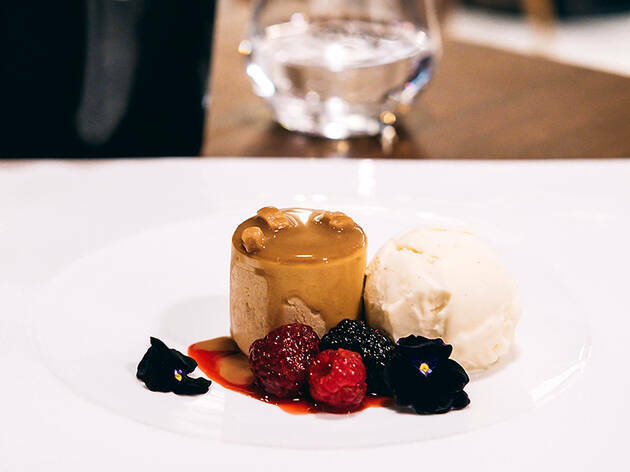 Our Soho flagship restaurant is located in the very heart of London’s theatre district. 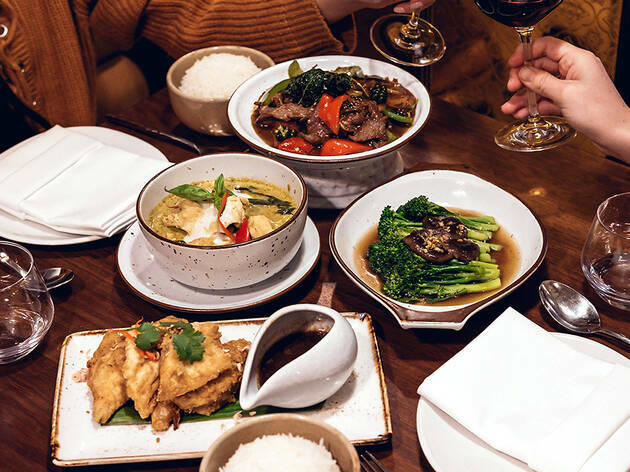 At lunchtime we cater to the area's creative community; during the evenings we are a haven of exquisite Thai food and exemplary service. One of the Best Restaurants in Soho! 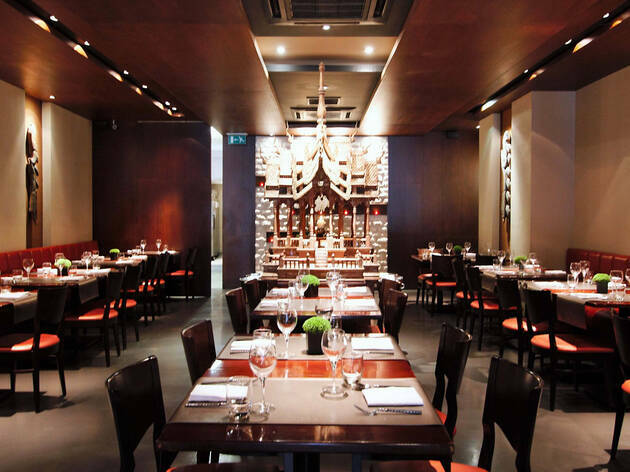 Patara is an upmarket international chain of Thai restaurants that serves contemporary cuisine in central London. With locations including Knightsbridge, Soho and Hampstead I went to the South Kensington branch. The room was elegant with minimalist furnishings and wood panelling. A member of staff warmly greeted my companion and I to our table. We began by ordering the Prawn Tom Yum soup (£8.85).The prawns were succulent. The soup had an intense combination of hot spicy and sour as well as a wonderful distinctive citrus flavour of their kaffir lime leaves; predominantly used in Thai cooking. We then shared their Prawn Pineapple Curry (£17.50). The combination of prawn and pineapple was fragrant and exotic. We also shared their Chicken Kieaw Wan (£16.80) which was a flavoursome blend of silky green curry paste with coconut milk and vegetables. We ate this with a portion of Coconut Rice (£4.50); the perfect accompaniment to curries. For dessert, we had their traditional Thai Mango with Sweet Sticky Rice (£10.00) which was served warm. It tasted sticky, sweet creamy and slightly salty all at the same time; a fresh yet indulgent delicacy. 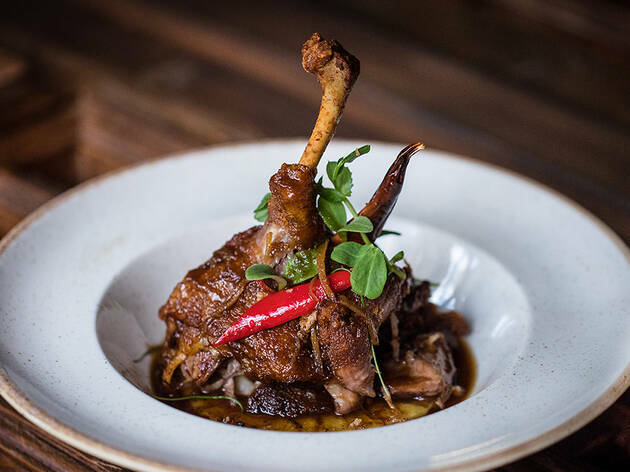 With curries at £16-18 and desserts at £10, the prices are somewhat lofty but their unpretentious authentic Thai food deserves more than just a passing mention. I would definitely recommend this place for special occasions as these dishes don’t compromise on flavour and are the ultimate culinary Thai comfort. For Thai food, this place is not cheap but the food and presentation is sensational. The portions were very generous and were aesthetically incredible. We had the tuna carpaccio with caviar, the fish cakes and the scallops for starters to share. They were all heavenly, in particular the tuna. For mains, we shared the beef cheek curry and the black cod. We definitely over ordered but I couldn't stop eating. The beef melted in your mouth with a sweet, buttery sauce that was delicious with the glutinous rice we also ordered. The black cod was silky and flavoursome. We had the pancakes for dessert which came out quickly and was a gorgeous way to end the meal. The pancakes were light and the filling was just the right amount of sweetness. The service was equally as good- friendly and speedy but not in your face or racing to remove your plates. Would definitely recommend for an upper class Thai experience. We had a bottle of south african white wine which was pretty good and whet our appetites nicely for when the starters arrived. We had a platter for two (shared between four of us). 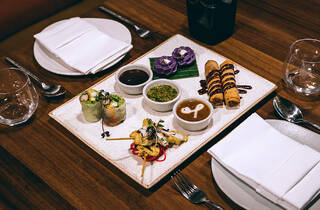 This had lots of tasty titbits - chicken satay, duck spring rolls, prawns etc. etc. 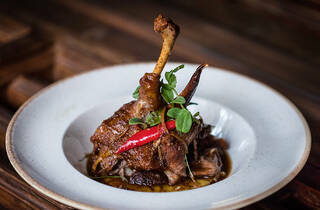 My main was absolutely delicious, duck gently fried with green beans and chilli. 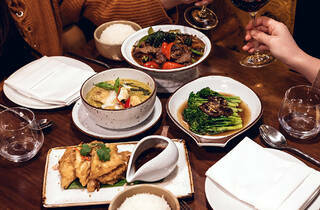 All the dishes were delicately infused with flavours of lemon grass, lime, ginger and spring onions - a real treat. Not a cheap Thai meal, but an extremely good one. We have been going to this restaurant for over 10 years, and my sister who recommended it to us for even longer. In all our 10 years, we only had the best to say about this restaurant having eaten at both its Greek Street and Beauchamp Place branches. Unfortunately, there has been a remarkable drop in service and courtesy over the past 12 months which we can only attribute to a change in staff. Over the past couple of visits we have had to wait for someone to serve us despite some staff members standing around whilst others were run off their feet; we have had to resort to raising our voices because of the number of times we have been ignored when asking for something; our meals haven't been served at the same time for all diners at our table; when someone has deigned to serve us, it is with a face that is just about tolerant at best. Yesterday, however, was the worst experience I have ever had with Patara. I called up to make them aware that 2 persons (of the 5 we'd reserved for) had birthdays - one of them a 50th. We asked if we could be seated downstairs but were told the section would be closed for the day. Fair enough. We then asked if they could reserve a nice table for us because of the one special birthday in particular. Pla (a waitress) saw fit to tell us that it would be better for us to cancel as they could not guarantee that the restaurant would be suitable for us to eat at. I was shocked at her response and asked her to confirm that she was recommending that we cancel our booking at short notice? She confirmed what she'd said. I asked to speak to the manager who proceeded to lecture me on the fact that Patara was not a "private room" for our disposal but a restaurant. I informed him that I had been eating at Patara for over 10 years. To cut a long story short, the more I told him that I wasn't happy with the attitude, briskness, and general lack of interest in whether or not we dined there, the ruder he became, leaving me hanging on the phone, and eventually hanging up. I called back to cancel the booking, got someone else who insisted I speak to the manager despite me saying I did not want to. The manager took the call, didn't let me speak and just kept shouting at me and then hanging up again. I will try and resolve this with the owner but for now sadly I will not give them my custom any longer. Regrettably, neither will members of family or friends some of the latter of whom have noticed the marked drop in service at Greek Street. I would have given them a 0 star rating but can't submit this review without at least 1 star. The food IS good - if variable on quality - but the rude staff are neither worth their high prices nor the 12.5% service charge they levy automatically. They are a shining example of the new age of customer service which says that the staff are always right and the customers are there to be abused as there is NO comeback on them irrespective of what they say or do. I'm sure many of you will - like me - give them great ratings. The problem is that they can coast on past reviews, great food ratings etc. without their surliness and unhelpfulness being noticed until they get challenged on that behaviour - then, like the girl with the curl in the middle of her forehead, they are very VERY bad. I am sure Patara must mean "Go away" in Thai - when we showed up at 9.45pm last Sunday at this restaurant, the guest attendant couldn't approach us quicker and asked about a reservation - which I replied we didnt have. She then said that they were all booked for the night, even though I could clearly see 4 tables available with another group of diners getting up to leave. When I asked about this we were told the kitchen would close at 10pm, even though their shop window says 10.30pm, and that there were no tables available. I guess if you dont want my money you could also mention that instead of coming up with bogus excuses. Very poor hospitality, dont bother going here unless you are confirmed for a table prior to 9pm. Not typical Thai. My husband and I went to Patara last week after a day of shopping in London and were delighted with our meal. The service and attentiveness was great, not to pushy, and our lovely waitress even recommended a few dishes to us. Their chicken green curry was to die for. My husband who loves Thai food has since named this his favourite authentic Thai restaurant in London. Overall, a fab dinner out for the both of us. I had dinner in a restaurant this week. It included, as is becoming more common, a restaurant service charge of 12.5%. I asked the waitress how much of this she got. She said she got only 22 pounds per night plus service charge around 8 pounds in total 30 pounds per night. I think it is not minimum wage so that mean all of the service charge does not go to staff. For me this is a disgrace. When I tip I want it to go to the waiting staff, not the restaurant. Legally you can't be made to pay a service charge, so do what I did. Don't put it as part of the bill. Tip that same amount in cash to the waitress. This is a growing blight. And if it isn't bad enough, restaurants that include service often add a voluntary tip box on the receipt - to make us pay more.